The creator of Ripple and original founder of Mt. Gox, Jed McCaleb, recently made a donation worth roughly $500,000 in XRP to artificial intelligence researchers the Machine Intelligence Research Institute (MIRI). Going on the XRP-USD exchange rate at the time of the donation, McCaleb’s became the largest single contribution in the Institute’s history. Though values have fluctuated and MIRI will not convert the donation into half a million US dollars straight away, it is still a startling amount and could be worth even more if the XRP value rises in future. At the time of writing 1 XRP, the currency of the Ripple Network, was worth around $0.02. The Machine Intelligence Research Institute (MIRI) is a tax-exempt, non-profit organization focusing on safety issues related to the development of ‘Strong AI’, or smarter-than-human artificial intelligence. Known as the Singularity Institute until January 2013, MIRI has a mission to ensure the creation of such intelligence has a positive impact on humanity. “In late 2013 I decided MIRI should begin accepting XRP donations in addition to BTC donations. Muehlhauser said MIRI would use the donation to help fund the hiring of mathematical researchers to work full-time on sub-problems in its ‘Friendly AI‘ theory. 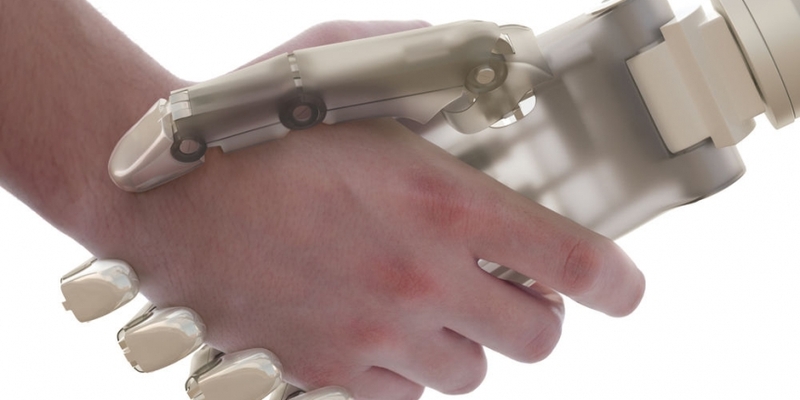 The term ‘Friendly AI’ comes from research fellow Eliezer Yudkowsky. It is a sub-field ‘machine ethics’ or ‘artificial morality’, which focuses on constraining the behavior of ‘narrow AI’ systems. Research into Friendly AI aims to ensure any future, self-improving and general artificial intelligence is ‘friendly’ to humanity. Machine ethics itself is not necessarily a far-flung or even Singularitarian idea: the US Department of Defense is already working on autonomous battlefield robots and airborne drones, and Congress has declared that a third of the US military’s ground forces must be robotic by 2025. There are a few problems more future-oriented Friendly AI research must bear in mind. For example, future machine ‘superintelligences’ will be far more powerful than the humans who caused them to exist, and thus they and humans may no longer be able to comprehend each other. Such a superintelligence would also act precisely and literally based on the mechanisms put there by its designers, and would not understand the complexity or subtlety of its human designers’ values (eg: the meaning of ‘happiness’). Ripple itself, still “in beta”, is intended to be a distributed payment and currency exchange network, and XRP is its native currency unit through which trades are made. While users can use Ripple/XRP to trade any currency (digital or fiat) they choose, it’s necessary to hold some XRP to participate. Ripple has also been known to polarize the bitcoin community, with some seeing it as an evolution and others viewing its central ownership as a form of control that could threaten more distributed protocols. At November’s US Senate Committee hearing, Ripple was the only digital payment network other than bitcoin to have representatives scheduled to testify on its behalf, however, they were absent on the day. All XRP units already exist and do not require mining. The for-profit company that oversees it, Ripple Labs, does not sell any product but aims to distribute 55% of the currency and keep the rest, in the hope its value increases as the network gains popularity. It either is or isn’t a bitcoin competitor, depending on your perspective. Jed McCaleb left his main role at Ripple Labs in July last year, but is still a director there. He is known to have an interest in AI research and development, and the technological Singularity. He founded the current Mt. Gox in 2009, converting an old exchange for Magic: The Gathering Online trading cards into the world’s first bitcoin-USD exchange in Tokyo. He sold the site to its current owners, Tibanne Ltd., in 2011. McCaleb was also the creator of the eDonkey2000 P2P filesharing network. Thanks to this history he is sometimes mentioned as possibly one of the real identities behind bitcoin creator Satoshi Nakamoto.